The trademark on "Amarillo Sod Poodles" was registered by Dusty and Nikki Green two days after Amarillo Professional Baseball announced its list of name finalists. There are few things that bring us all together quite like the unveiling of a good Minor League Baseball team name. 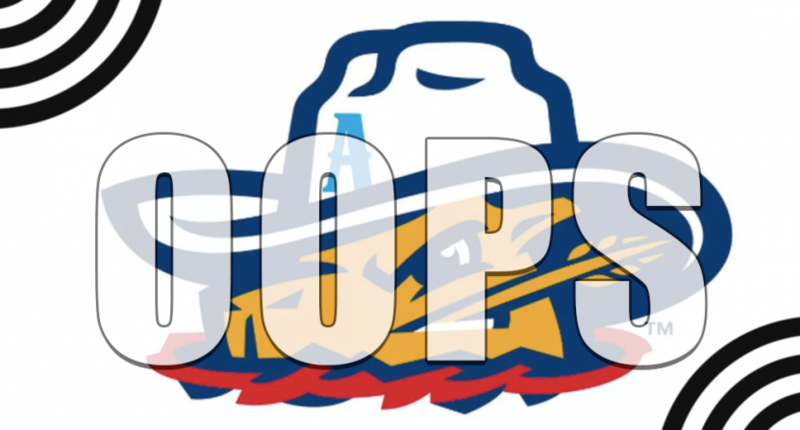 In the tradition of such classics as Traverse City Beach Bums, Lehigh Valley Iron Pigs, Akron Rubber Ducks, Hartford Yard Goats, and Rocky Mountain Vibes, we were introduced to the Amarillo Sod Poodles last week. The Double-A affiliate of the San Diego Padres formerly known as the San Antonio Missions (not a shabby name itself) relocated to downtown Amarillo, hence the call for a new name and identity. As for what, exactly, a Sod Poodle is, well it was a “pioneer’s nickname for ‘Prairie Dogs'” according to a statement. As often happens these days, the name was chosen as part of a fan contest that also included options such as Boot Scooters, Bronc Busters, Jerky .and Long Haulers. The franchise made sure to go all-in on the new name. The logo features a prairie dog in a cowboy hat, they’ve got a mascot set to premiere on opening day, and the team’s uniforms will be unveiled soon as well. It seems as though the franchise left nothing to chance in creating the ultimate new identity. As first reported by MyHighPlains.com, it turns out that trademark filings show the baseball club does not actually own the name they’ve built their entire marketing identity around. That belongs to Stone Ranch Media, LLC, a company owned by local residents Dusty and Nikki Green. This probably isn’t a coincidence as, per the U.S. Patent and Trademark Office, the couple filed for the trademark two days after Amarillo Professional Baseball announced its list of name finalists. According to a Facebook post by Dusty Green, the team did make three offers to buy the trademark from them in September but he turned them down. He is now selling his own merchandise to presumably compete with the baseball team. The team does own the trademark the name “Sod Poodles,” so it sounds like they plan on moving forward on merchandising and marketing until an inevitable legal battle ensues. The team is selling some items of clothing that do use the full name, but others simply say Sod Poodles. While it might seem like the Greens are just simply trying to make a buck by gaming the system, MyHighPlains.com does note that Dusty Green was “one of many prominent Amarilloans who criticized the team’s ownership, insisting they’d turned a deaf ear to baseball fans in the Panhandle.” He was also apparently against the choices in the name contest (including Sod Poodles). So clearly, this feels like a pretty big FU to the team and it’s owners as much as anything. The Sod Poodles’ inaugural season is still months away, but expect them to be battling for more than just wins on the field in the year ahead.